The COSBOA Innovation Games (Victoria) 2018/19 are a series of 5 one-day innovative challenges held in Victoria, executed by Paddl Co., in partnership with the Council of Small Business Organisations Australia (COSBOA) and the Victorian Government. 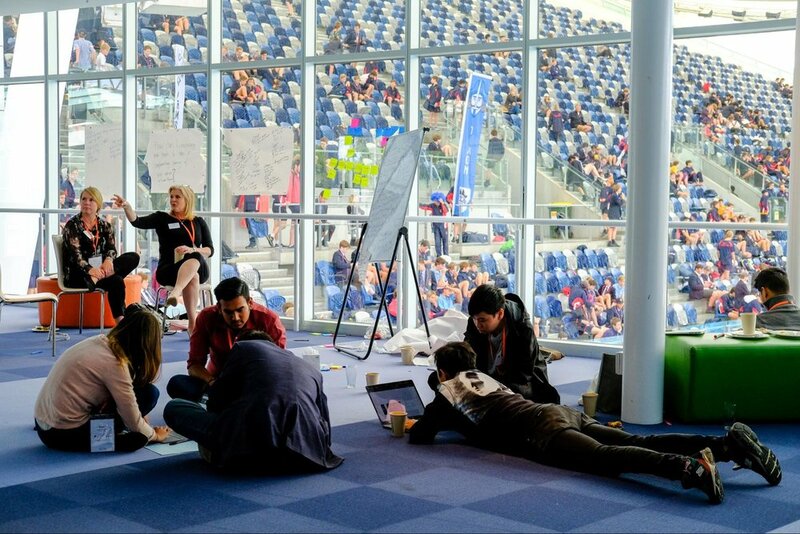 These hackathon-style challenges give a diverse set of emerging talent the opportunity to work with real Victorian businesses to develop solutions to actual challenges they face within their business. Day 4 of the COSBOA Innovation Games sponsored by GrowthOps, was held at the Melbourne Sports and Aquatic Centre (MSAC) on March 13th in the days leading up to the Grand Prix and came to be the biggest Innovation Games yet. With almost 80 Challengers working alongside not only 11 local businesses, but representatives from the 9 corporate sponsors and incredible mentors from our host sponsor, GrowthOps, the room was pumping with energy and excitement. Tooradin Pharmacy, a local pharmacy from south-east Victoria, aiming to provide professional advice on all health and beauty needs to their community, took home first place on the day. They were nominated and sponsored by the Pharmacy Guild of Australia, the national peak body organisation representing community pharmacies all across Australia. The Tooradin Pharmacy team was made up of two Tooradin Pharmacy employees, including owner Brendan Green, a representative from the Pharmacy Guild of Australia, the Head of Strategy and Innovation at GrowthOps acting as a team mentor, one Paddl Facilitator, one Paddl Alumni who had participated in a Paddl Games Challenge previously, and five Challengers from various Victorian Universities including Deakin University, RMIT and General Assembly. All teams had the opportunity to meet prior to event day via ‘Slack’ - an online communication tool. That allowed the teams to get acquainted, receive important information about the challenge day, find resources on design thinking methodology and most importantly formed their team name, encouraging a collaborative culture before challenge day. The Tooradin Pharmacy team dubbed themselves ‘Prescribed to Win’, a moniker that would later prove very true. The Innovation Games host sponsor, GrowthOps set forward the challenge theme for the day - ‘Surface high-impact growth solutions for your business’ - which all the solutions developed must relate back to, regardless of business or industry. Paddl Co. executed the challenge day by dividing the day into three 2-hour sprints, utilising design thinking methodology to help keep structure and make sure all groups moved forward at a similar pace. After a brief introduction and housekeeping, the day kicked off with a real buzz in the air, and the Tooradin Pharmacy team dove straight into Sprint 1. The second sprint, ‘Concept Design and Development’, focused on building out a solution to the problem area they decided to focus on. The unique aspect of the GrowthOps sponsored Innovation Games was the access each team had to three amazing Challenge Labs helping the teams gain insight and advice on their solutions. From the best way to properly utilise technology at the Technology Lab, to implementing and engaging in the right channels at the Growth Marketing Lab, and finally, coordinating their solution to fit with the business’ overall brand at the Brand and Creative Lab, the mentors at each lab were key to ensuring the best, 360-degree solutions were developed. The Prescribed to Win team found these labs extremely beneficial in crafting their overall strategy, a three-pronged community engagement and activation approach to deal with the lack of awareness around the program, increasing patient uptake to drive profit margins and making sure this aligned with the high impact growth theme of the day. The third and final sprint is where the ‘Storytelling and Tuning’ took place. In order to effectively pitch their concept to the judges, the team developed a short, entertaining and concise presentation conveying their problem statement, understanding of the business, consumer environment and how their solution addressed all of these. The pitch must be supported by the entire team getting involved, explaining thoroughly how the approach would work. After a full-on day of design thinking, it was finally time for the pitches. The Prescribed to Win team were the last team to present, and carefully adapted their approach to regain the attention of the exhausted room! Joseph Dang, one of the team members got the room up dancing and laughing before the pitch even started, then dove straight into Tooradin’s problem statement, and why their proposed solution would work. After an engaging presentation, the judges stepped away to deliberate, coming back to award the Tooradin Pharmacy team first place! Their solution effectively fit the criteria of high growth solution, took into account budget constraints, would prove an effective use of their current resources and had the potential to be scaled up. 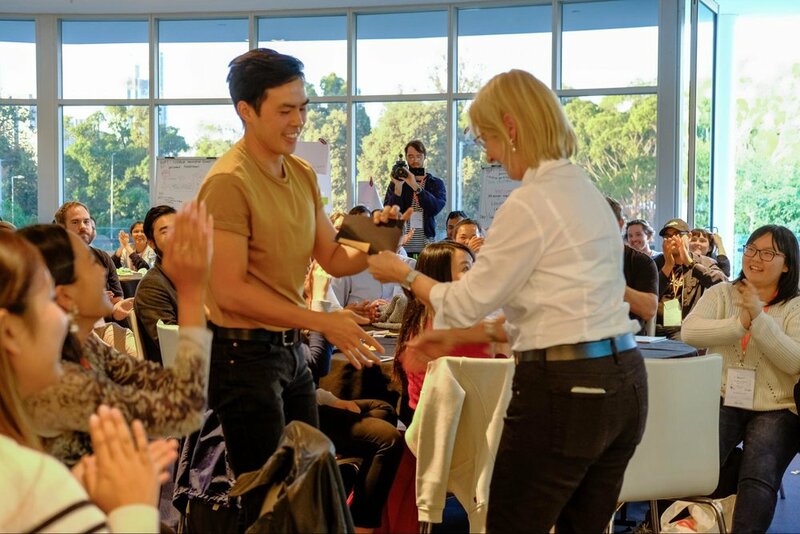 One of the Prescribed to Win team members, Joseph Dang, also received a Special Mention Award for his ability to get the room moving before delivering their winning idea. Overall, it was a day of high-impact growth innovation for the Tooradin Pharmacy team, who are already looking at implementing the solution designed! Paddl Co. takes pride in the positive experiences everyone walks away with from the Paddl Games - from emerging talent to business owners to sponsor participants. The next instalment of the COSBOA Innovation Games is approaching fast - if you are interested in participating make sure to join paddl.com and get your profile up to date! If you are a small business interested in participating, please reach out to caitlin@paddl.co for further information.